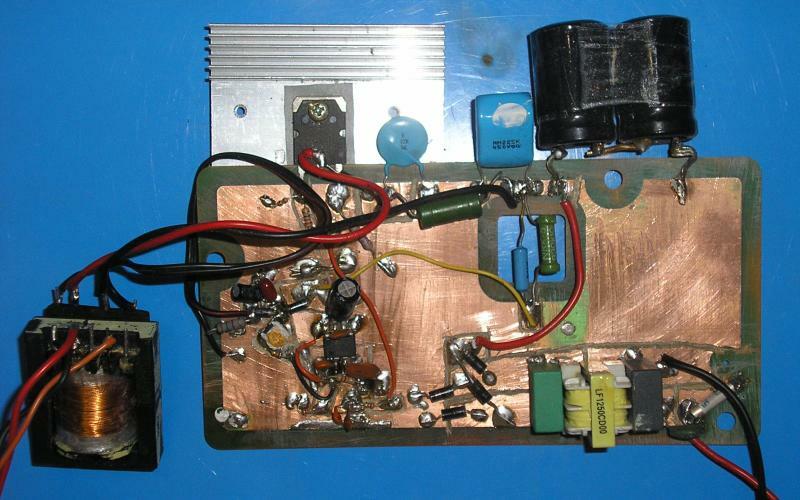 I created this switching power supply for analogue semiconductor oscilloscope. Control circuit is UC3842, intended for switching power supplies. Voltage stabilization is derived (indirect), there is no optocoupler. Feedback to control voltage is taken from the auxiliary winding. This winding is also used to power the UC3842. Starting of this supply is ensured by the 220k 2W resistor. This switching power supply operates in the wide range of nominal input voltages 100 - 240 Vac and is short-circuit proof. The maximum total load is about 60W. The core of the switching transformer can be found in CRT television or CRT monitor. Inductors L1 and L2 at the output are not critical. They are wound on iron powder ring or ferrite rod. My L2 is on a ring from the ATX PC power supply with 80turns of wire 0.8 mm and L1 comes from the 50V branch of CRT monitor power supply. Output voltage is about 1V per 1 turn. 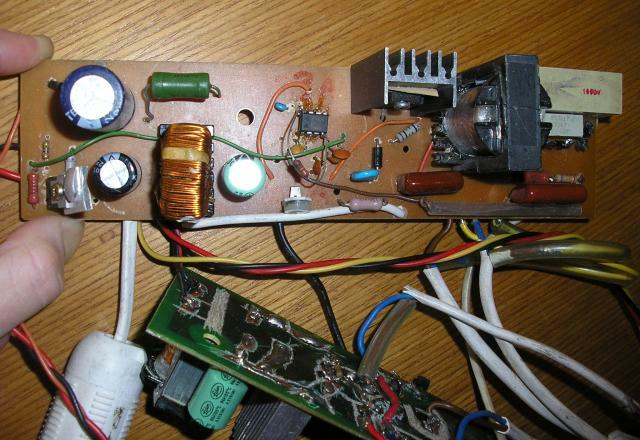 It can thus be easily adapted for other voltages. Note that the fast rectifying diode at the output sees 6x higher voltage than the nominal output voltage! Transformer of course is wound according to the rules for the production of pulse transformer: The first half of the primary - thick insulation - secondaries - auxiliary winding - thick insulation - the second half of the primary. Insulation between each layer of winding. The insulation between primary and secondary side windings is at least 10 layers of insulating tape. Primary is divided into 2 parts to reduce the leakage. This SMPS operates at a constant frequency of 50 kHz.